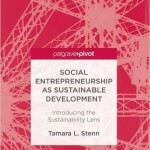 “We want to thank the Pachamama (mother earth) for giving us sustenance, energy, love. And Illimani (mountain) for protection, strength, seeing that we are good, giving us water. And our ancestors for remembering us, looking over us, being present. And thank you to the customer who buys our knits. May they wear our products with much health, happiness and love. And may we never lack money, health, happiness, for ourselves or each other.” Quechua blessing made by KUSIKUY knitter, Dona Emilia. KUSIKUY garments are carefully hand knit using small knitting needles and the finest quality Bolivian yarn. Alpaca is a very warm fiber and has a lovely drape. It works best when knit in a small gauge yarn. This takes much more time but the results are outstanding. Often called “fingerling weight” our lightweight yarn is our signature of fine quality, easy to wear, full season knits. It takes a master knitter three days to knit a single adult sweater for KUSIKUY. KUSIKUY works with Bolivia’s best independent knitting groups. Members are highly trained artisans with an average of 15 years of professional knitting experience each. They knit sweaters and accessories from locally sourced alpaca fleece and merino wool for export customers. Payment is per piece. Hand knitters earn triple minimum wage for their work. 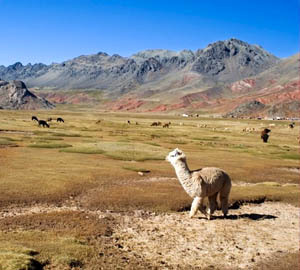 Production takes place in the Bolivian countryside. This enables knitters to knit in their local community, maintaining traditional customs and language while earning extra income. Each community has a core knitting group that meets regularly. The group leader coordinates production, quality control, ongoing training, and the distribution of raw material. Each community leader reports to the group’s main office to deliver finished product and receive more orders, training, and raw materials. At the main office, product is checked again for quality and then washed, pressed, and prepared for shipping. The head knitter of each group has traveled to the USA or Europe receiving international recognition for the quality of their work and an introduction to the export customer they serve. 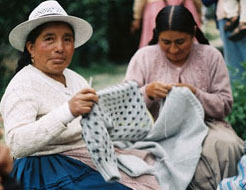 KUSIKUY knitters are Aymara and Quechua pre-Inca descendents. Most members live in simple adobe homes with thatched grass roofs. The altiplano knitters manage small organic farms caring for llamas and sheep, and cultivating wheat, potatoes and “quinoa,” a high protein Andean grain. Those living near the shores of Lake Titicaca tend alpaca herds. The topical valley knitters are struggling with climate change. A lack of ground water has limited their crop production. They also raise small herds of dairy cows and cattle. Most knitters are women aged 25-45, with four to six children each. The majority are illiterate and speak only their native language. Their husbands often travel for months to different regions and countries in search of work. The women are left home alone to tend to the farm and children. Knitting provides them with an important extra income, and also a place to meet, relax and enjoy the camaraderie of their fellow knitters. 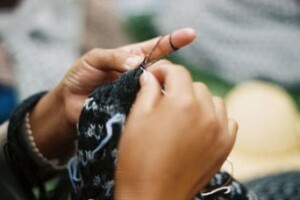 It is common for groups to meet weekly and knit together while the knitters’ children play. Located in the high tropical valleys of Cochabamba, Bolivia, the La Imilla Knitting Cooperative is a 28+ member cooperative that specializes in alpaca knits. This internationally recognized cooperative is made of indigenous Quechua women. Organized in 1979, La Imilla is an association of craftswomen created to “improve the social and economic condition of rural women.” Imilla is a Quechua word that means “young woman” and has been adopted as the name of the organization, a symbol of its cultural heritage, and a sign of respect to the young women of Bolivia. Since 1982, La Imilla has received training through the Panamanian Cooperatives Administration and Canadian volunteer services, and international support from the United States and England. In 1993, La Imilla received the “Quality Award” in Chicago, USA and attended the Native Women’s Handicrafts meeting in Guatemala. They were also selected to represent Andean knitters at the USA Indian Museum Indian Handicraft Festival and received recognition for their high quality knitwear by industry experts in Madrid, Spain. KUSIKUY knitters will not knit children’s sweaters in black because black to them is a color of death and sadness. They do not want to knit sadness for children. Knitting in a spirit of love and happiness is a core value of the KUSIKUY knitters. Each item they produce is lovingly handmade. Knitters say they often think of the wearer and who they may be as they knit each garment. Together with the knitters, new lines of KUSIKUY knits are created each year. European design has a strong influence in South America and the latest of European fashion runway styles are seen in much of our styling. My own influence comes from the rugged mountains and farms of Vermont and my New York City upbringing. I always look for designs that are both fashionable and flattering while being practical and rugged. I like to spend the morning hiking the mountains with my children and then sit down to a Fair Trade cappuccino in town, without having to change clothes, and still look good. Many KUSIKUY designs are taken from daily life in the community, such as a border design of men and women holding hands, dancing. Other designs were inspired by ancestral pottery art more than 5,000 years old. Still others, like a snowflake, reflect the imagination and whimsy of the knitters themselves. The cable designs go back to my Scottish roots. We are grateful to New York City designer, Nicole who created some of our newest KUSIKUY designs. Our garments are “slow fashion” which means they are carefully hand crafted of local materials and meant to last for many years. Many customers proudly report wearing KUSIKUY garments for 10+ years. They boast to us how they have traveled the world in their KUSIKUY sweaters and ponchos. Some mothers see their children’s KUSIKUY knits as heirlooms carefully saving them for the next generation. The products wear so well, we have even seen used items sold on E-Bay. Our designs and colors are timeless and are made to compliment the fast paced world of ever changing fashion trends. Alpaca is a rare specialty fiber. It is stronger than mohair, finer than cashmere, smoother than silk, warmer than goose down, and breathes better than thermal knits. It is naturally hypoallergenic, snuggly soft, and cozy warm. Alpaca washes easily and packs well. It will not pill or wrinkle and holds up for many years of comfortable wear. Alpaca is the fiber traditionally reserved for Inca nobility – Inca emperors rewarded nobles with gifts of soft alpaca fabric made by expert artisans. Bolivian alpaca is the finest in the world. KUSIKUY only knits with Bolivian alpaca. KUSIKUY alpaca fleece is sourced from free range alpacas that graze in small herds on the natural native grasses of Bolivia’s Andes Mountains. They are cared for humanely, allowed to roam freely up mountainsides and then gently led back to family farms where they are corralled and tended to for a short period of time before being left to wander free again. Alpacas are valuable for their fiber producing fine quality fiber throughout their entire life. They are deeply honored in the Andean tradition. Our alpaca fleece is hand shorn with manual sheers so the animals are not harmed and the fleece is best for spinning. The fleece is then hand washed with a biodegradable detergent especially designed for the Bolivian Altiplano environment. Then the fleece is graded. We knit with export quality “super fine” grade alpaca measured at 25.5 microns. Just 30% of an animal’s fleece qualifies for this grade. Once the fleece is graded, it is carded and spun. Our rustic line is spun by hand using a drop spindle. The rest of our yarns are machine processed in an environmentally safe, export quality, cooperatively owned mill, originally developed by the United Nations and Italian textile experts. Some fibers will be dyed with ecologically safe, low impact dyes. Others will be left natural. Natural alpaca is found in all shades of creme, beige, brown, grey and black. There are more than 24 gorgeous shades in all. Once processed into lightweight yarn, our alpaca is ready to knit into sumptuous knits – the trademark of KUSIKUY. The term “merino” originated from the wool of the merino sheep reared in Spain, which can be traced back as far as the 12th century. Bolivia’s merino sheep were introduced to the region 500 years ago by the Spanish conquerors. The flocks adapted to Bolivia’s high windswept plains and altitude, developing a fleece that was superior to lowland wools. Bolivian merino fiber performs well in cold-weather and high-performance applications, offering superior breathability, temperature regulation, moisture control, and anti-microbial properties. Unlike “traditional” wool, merino is much finer, softer, and “itch-free.” Bolivia’s merino sheep have a larger range than alpaca and also produce more consistent fiber that is easily hand sheered and spun. This makes it more readily available. Tiny microscopic barbs that occur naturally in sheep’s wool also make for faster spinning, further reducing production costs for the yarn. Because of this, merino is not as rare as alpaca nor is it as expensive. It is not as soft as alpaca, but it wears well, is warm, and is an attractive, affordable, natural fiber option.